New York, N.Y., August 13, 2018 – Academy® and Emmy® award winner Al Pacino stars in HBO Films’ two-time Emmy®-nominated drama Paterno, arriving on DVD August 28, 2018. 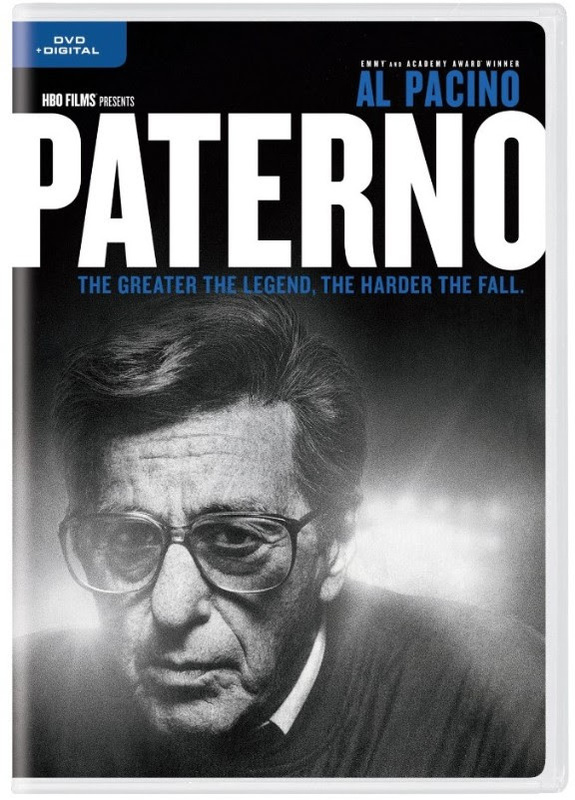 Centered on the legendary Penn State football coach Joe Paterno (Pacino) and the aftermath of the Jerry Sandusky sexual abuse scandal, the DVD comes with two bonus features delving deeper into Paterno’s life and impact. Paterno is executive produced by Barry Levinson, Jason Sosnoff, Tom Fontana, Edward R. Pressman, Rick Nicita, and Lindsay Sloane, and produced by Amy Herman. The film is written by Debora Cahn and John C. Richards, and additional cast members include Annie Parisse (Friends From College), Kathy Baker (The Age Of Adaline) Greg Grunberg (Star Wars: The Force Awakens) and Larry Mitchell (Brawl in Cell Block 99). About Paterno: Director Barry Levinson and stars Al Pacino and Riley Keough discuss the story behind the film and its perspective. Joe Paterno’s Impact: Barry Levinson and Al Pacino talk about Joe Paterno’s responsibilities relating to the scandal.